Football is a bit like Marmite, you either love it or hate it. While some of us are over the moon that it’s footy footy footy everywhere while the World Cup is on, there are some of us who would sooner spend a few weeks on the moon to escape all the relentless fuss. What better time to find somebody special to either whoop about the latest match, or run away from the whole thing with. To top that idea, it looks like this summer is going to be a scorcher, one to share. 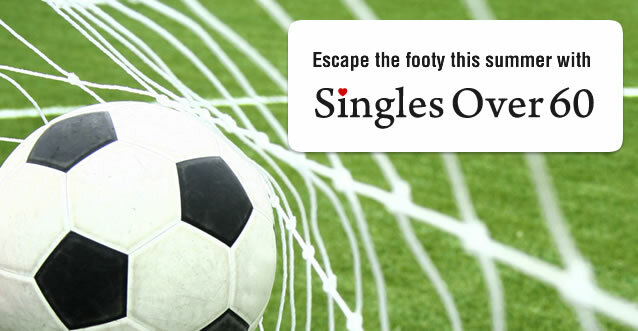 Join for free, browse singles locally and from across the country. If you like what you see, upgrade any time, if you don’t; then cancel whenever you like, with no obligation. Our member support team are on hand on our free 0800 033 4053 to answer any questions you may have, big or small.